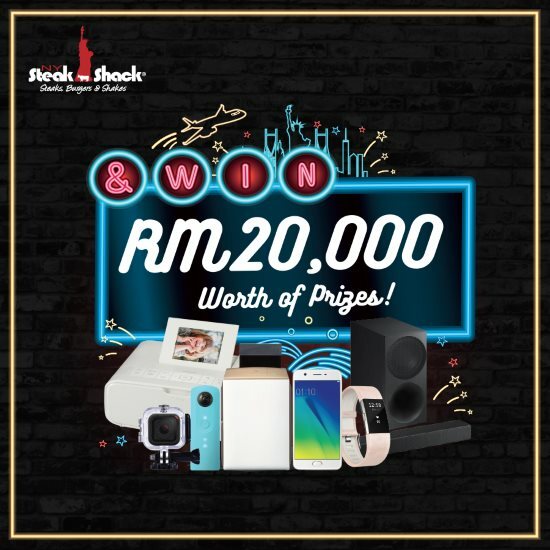 Spend a minimum of RM60 (with GST RM63.60) inclusive of the 3rd anniversary promotion in a single (1) receipt from any participating NY Steak Shack outlets in Malaysia to be entitled for one (1) contest form. Fill in receipt number in the section provided in the contest form. o Rank the activities you would like to experience in New York. o Show us your best drawing/doodling skills by completing this image based on the three icons on the contest form. Visit "Fly Me to New York" Contest terms & conditions for more details.